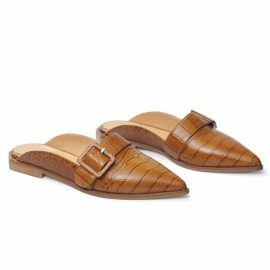 Norman & Bella Italian-made loafers pair with a comfy elastic slingback style on this trendy-chic shoe that’s perfect for versatile, everyday wear. Pale Pink Nappa leather with a golden metal accessory. 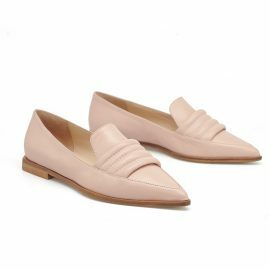 A curvy segmented bit and a sharp pointy toe bring smart plays of shape to a classic, versatile loafer. This pair is comfortable to walk in and provide a good hold on your feet. For our products, we use only high-quality Italian leathers. Also available in Icy Grey and Black. We offer express shipping worldwide. All international orders will be fulfilled by EcoPost. Returns are eligible for a refund if a return authorization request is made within 14 days of your original purchase.